There are a lot of smaller details we’ve grown to love and respect over the years which we feel are worth mentioning so here are some ‘little things’ we consider when finishing a home. Insinkerator – This is an inexpensive ‘must have’ in our opinion as it means quick and efficient dinner clean ups without the yuck of smelly rubbish bins and scooping scraps out of the bottom of the sink. Sorry for the details but the investment becomes worthy when you think of eliminating these negatives. Cavity doors – Love a good cavity door, particularly when they have glass in them. We use these commonly for the pantry and walk in robe as it adds a pretty feature to a room that doesn’t require maximum levels of privacy. There is one thing to be aware of though… don’t leave cavity doors open all the time if they are white. If they are open and inside the cavity for a long time, they will turn yellow. In one of our houses, the pantry door was forever open and one day we closed it and thought the painters had forgotten to paint it when the house was built. Obviously we were wrong and the yellow was due to the white paint not getting any light and therefore turning yellow. You can get around this if it’s a darker colour or just being aware so you remember to keep it closed some of the time. Security screens – Good security screens don’t come cheap but we’re fans as it means you can comfortably move around your ‘bug free’ home with confidence and not worry about someone sneaking in and pinching your car keys (sadly a reality of today’s world). Clearly ‘Crimsafe’ spend a lot on advertising as many of us have heard Kimmy and her dad selling the great features of their product. We’ve had Crimsafe in the past and were happy but there are other products out there that we prefer. Our preferred supplier is Secureview and we’ve been incredibly happy with the product. We won’t get into the specific details of exactly which has what features but let’s remember that a security screen is often next to a plain sheet of glass so if someone really wants to break into the house that badly, they can just break the glass. Power in the kitchen – How many times have you stood in a room, power cord in hand, looking at where you can plug it in? Nowhere does this happen more than in the kitchen! Yes we’re huge fans of the walk in pantry where you will find a minimum of 3 double power points for all your minor appliances but you will also have ample in the kitchen itself for when you’re baking or cooking and don’t plan to do so in the pantry. This is a really minor detail to add when you’re building but possibly significantly troublesome after the fact. So, think of us when you’re baking a cake and notice that extra power point on the island bench so you can do so while chatting with your family and friends. Built in wardrobes – This is another detail that’s fairly easy and inexpensive to improve or modify while building but a real pain if you try to correct it after the fact. Most project builders will give a standard ‘long hang’ built in robe in most rooms which means one rod for hanging under one shelf that’s 1.7m from the ground. This generally translates into about ½ of your robe being completely useless with most of your stuff piled on the floor. We’re not big on unnecessary bedroom furniture and prefer the simple and sleek look of a lovely bed with everything else tucked away in the wardrobe. You may prefer some pretty pieces to adorn your room but you will always find intelligently designed built ins in our wardrobes. 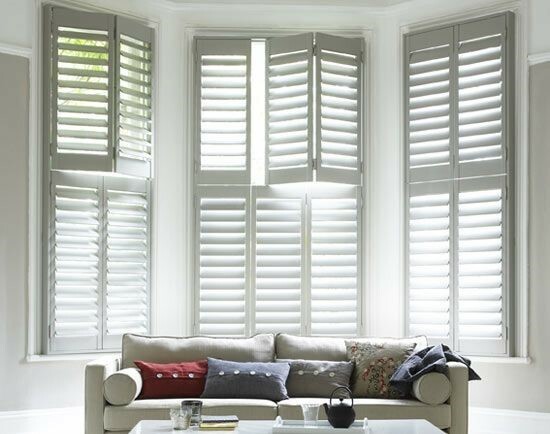 Plantation shutters – Again, another ‘must have’ of ours. They add an elegance and beauty to the room but more importantly they’re ridiculously functional. With blinds, it’s all or nothing but with shutters you can let some light and air in while tilting them up to ensure privacy and keep the rain out if you get a surprise shower. These ones are a reasonably substantial investment but worth every dollar. Gas point on the patio – What Aussie doesn’t love a good barbecue? Ours is on at least a few times a week and unlike colder parts of the world, Aussie barbecues generally don’t go into hibernation during the winter months. All our houses have gas points on the alfresco and where possible, they’re connected to natural gas. Sadly natural gas is not available everywhere but where we must use bottles the barbecue is connected to the same bottles that are used for the rest of the house. Soft close – I love a house where you can’t slam anything! Not a toilet, a drawer or cabinet. Ok, maybe a door still but the rest should all be soft close. 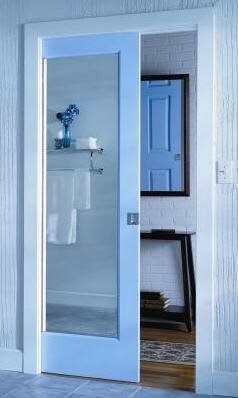 Soft close hinges often get knocked off to keep prices down but they really are a convenient and luxurious feature to have. Good luck getting angry in one of our homes… you may have to run around looking for something to slam. Small details such as these can often transform a house into a home by creating a space that respects the daily requirements for balance between beauty and functionality.